Coloring hair has become a common practice, particularly for people who want to hide their graying locks. 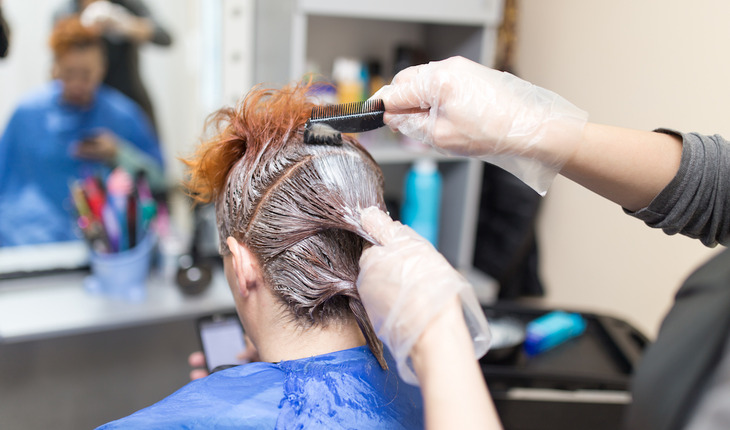 But according to a release from the American Chemical Society, an ingredient in many of today’s commercial hair dyes has been linked to allergic reactions and skin irritation. Now scientists have developed a potentially safer alternative by mimicking the hair’s natural color molecule: melanin. Their report appeared in March 2017 in the journal ACS Biomaterials Science & Engineering. The release notes that the permanent hair dye ingredient p-phenylenediamine (PPD) has been associated, although rarely, with allergic reactions including facial swelling and rashes. Coloring hair with natural melanin would be an intuitive alternative to PPD. But previous research has found that the pigment molecules clump together, forming rods and spheres too large to penetrate into the hair shaft to create lasting color. Jong-Rok Jeon and colleagues wanted to build on the idea of using melanin but with a molecule that mimics the real thing. The researchers turned to polydopamine, a black substance that is structurally similar to melanin and has been explored for use in a variety of biomedical applications. Polydopamine with iron ions transformed gray hairs into black and lasted through three wash cycles. Lighter shades could also be achieved with polydopamine by pairing it with copper and aluminum ions. And toxicity tests showed that mice treated with the colorant didn’t have noticeable side effects, while those that received a PPD-based dye developed bald spots.